I gots a wacom tablet now...now what? Alright so yeah, I got this wacom bamboo tablet now. And whats the first thing I drew? A pony, yes a pony, I freaking love these ponies! Anyway, yeah...tested it out, a little awkward at first...it's fun to use though...And note to self, pencil tool=bad when you don't know what you are doing with it. 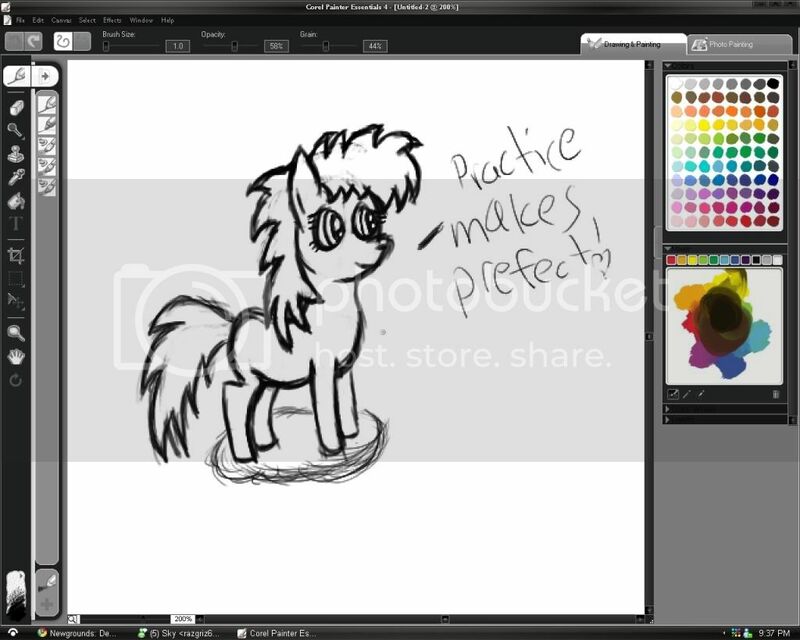 Soooo...yeah...enjoy this little screenie of me making an awfully drawn pony. Also yeah...if anyone can give me tips or links of tutorials of using the wacom more better, feel free to give them to me! Not gonna let this device on the side, gathering dust. I spent almost 80 bucks for it.